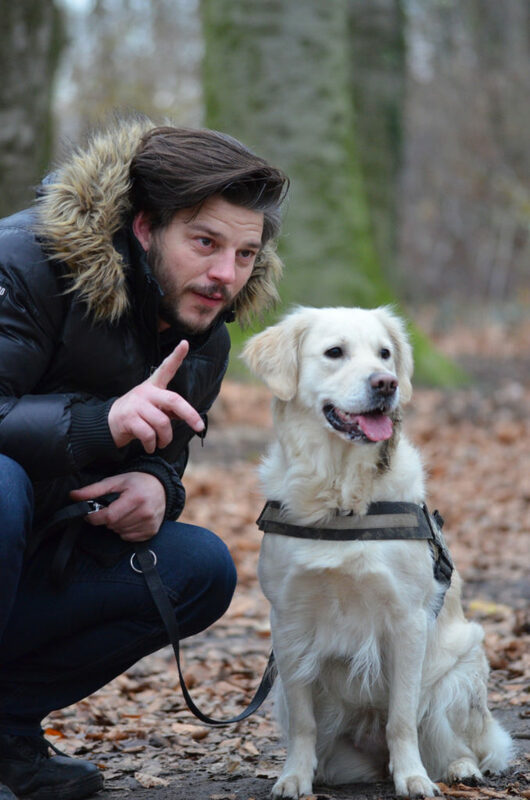 How to Teach a Service Dog to Ignore Distractions – ComeHereBoy! One of the hardest things to deal with in service dog training is distractions. There are four things that can make getting a trained behavior (like sit) harder – location change, duration, distance and distraction. When you’re training a behavior, you want to work each of these things separately at first, then you slowly add them together. When I’m training “touch” for example, at first I will reward a quick nose touch to my palm. Then, I will start to only reward the nose resting on my palm for a while. Then I expect longer and longer times. This is training for duration (or length) the behavior is performed. When I move to a new room of the house, I will not expect the long touches I just taught. I expect a quick touch and then I have to build up to long touches again. Even though it sounds like it’s a lot of work, it generally goes a lot more quickly in the new location. If I want to add distance to the behavior, I usually go back to the original room and step a small distance away from the dog to ask for a touch. Then I add distance only. If I want both duration and distance, then I will go back to one step away, and ask for the long touch we practiced before. Location changes, duration, distance and distraction are woven together like the strands of a braid in any behavior. I start with one strand, then I add a new strand and as I continue to build the behavior adding these strands, they weave together until at the end I have the completed behavior. If I try to skip ahead and start making it harder in too many ways, I’ll end up with a mess. The completed behavior in the case of “touch” is that the dog presses their nose into my hand until I tell them to stop. And the dog will come from anywhere they can hear me, in any location. Sometimes, though, when I’ve finished “braiding” a behavior like “touch”, something new comes along, maybe a new location or a particular situation and suddenly the dog doesn’t want to touch anymore. They’re too distracted by the new thing. It can feel like the braid is unraveling completely when this happens. When a dog doesn’t listen in one situation, sometimes this does mean that the behavior gets messier elsewhere too. If this happens, where the braid starts to fall apart everywhere, it just means it’s time to stop trying to braid from where you were. Usually this means you’ll need to step back, doing some unraveling to start a little earlier in the braid. You might have to build the behavior back up again. Not always from scratch, but sometimes. It can also be really frustrating when it feels like whatever reward you have isn’t good enough to get the dog to do the behavior. The dog knows what they’re supposed to do… You have a reward, but the dog isn’t listening! They were listening before, but now they’re not! Frustrating! Trying to insist the dog must work when it’s obvious that it is not going to, can mess the braid up even further. When you see a dog not listening in any situation, it means it’s time to step back, often going back into the part of the braid that still looks nice, and start working on it again. Rework the braid to get the behavior back. The next thing to do is to get ready for the situation to happen again by setting it up to be a lot less distracting. 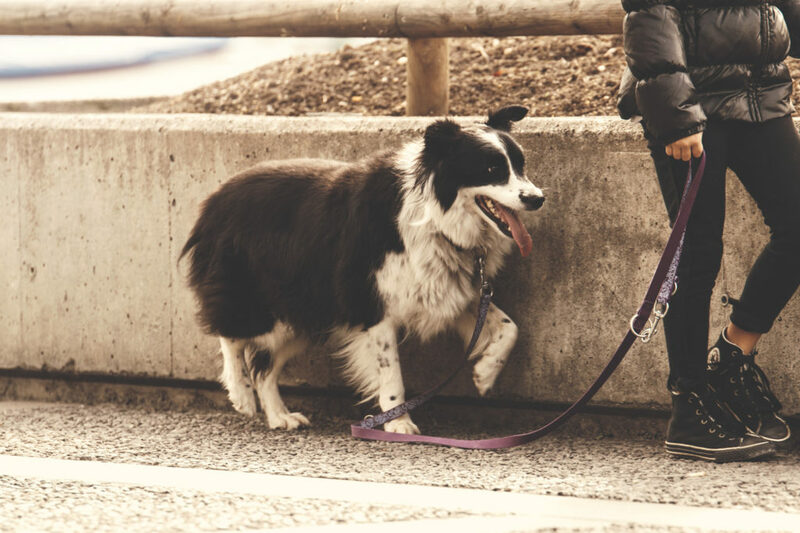 A good solution for distractions that your dog can’t seem to get over is to make that distraction a cue. What this means is we first figure out a behavior we would like the dog to do when they see a distraction. For service dogs, the best behavior for the dog to do is usually “look at me”. For some people, it might be sit, sometimes it might be turn around and walk the other way. We’re going to use “Look at me” as an example though. Here’s how using a distraction as a cue works. Let’s say my problem is that my dog gets distracted by other dogs when we are out in public. They stop paying attention to me, and they start messing up their behaviors. What I want to do, then, is to have my dog look at me when a dog is in sight or hearing. Right now, a dog in sight or within hearing range cues your dog to look at the other dog. So I hopefully already have taught my dog what “look” is and I can get the behavior most of the time. What I will do is set up a series of situations so that my dog starts to learn that dogs nearby mean, look at me. So I might start this by putting a barking dog noise on my phone and stand in an otherwise quiet room. Then, I’ll have a friend stand in the other room and play the barking dog noise for just a second. As soon as the noise plays, I’ll say “look” and click and reward any sort of look in my direction. Then I’ll build this behavior up slowly, by putting the noise nearer, making it louder, playing it longer and asking for a longer “look”. I will ask my dog to “look” until I use a release word, like “OK” or “Free” so that the dog knows they can look away from me. Then I might take this out into harder, more distracting places that don’t have real dogs and ask for the behavior there. Then I’ll add the real dogs. I like doing this at dog parks, actually. I go far, far, far away from the dog park, where you can just barely hear or see the other dogs playing. Everytime I see my dog looking at the dog park, I’ll ask for a quick look, releasing the look with “Free”. I’ll build it up longer and longer, asking them to keep looking at me until I say “OK” or “Free”. Then we slowly get closer and closer to the dog park, asking for quick looks at first, then longer looks. After easing into it over a week or two, eventually, I like to get to the point where my dog is looking at me all the way up to the fence, even with other dogs coming over to say hi. And then, I’ll get rid of the verbal cue and expect them to look at me without saying anything. If I want to really work it, I’ll go into the dog park and expect a look before I say “Free” and let them go play. What I’m looking for is this: whenever my dog hears or sees other dogs, I want them to automatically look at me until I give them permission to look at the other dog. If at any point, the building up of this behavior starts to fall apart – I go back a few steps and work it back up again. I feel like having this secondary approach to intense distractions makes life a lot easier than trying to train all of the dog’s behaviors in the presence of the problem distraction. 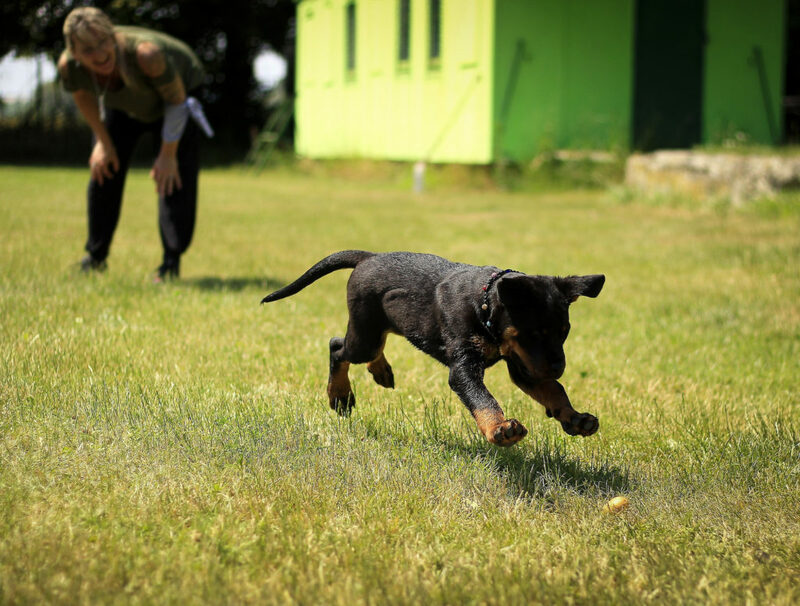 But if you can train the dog to just focus on you automatically when a distraction happens, they’re more likely to be able to also do the 15 other behaviors they’ve been taught. Distractions are really a great opportunity to strengthen behavior. I feel like in some ways they should be welcomed as a chance to teach your dog to be even better than they were. Distractions do not mean you or your dog are failures. It’s just a chance to strengthen your partnership.